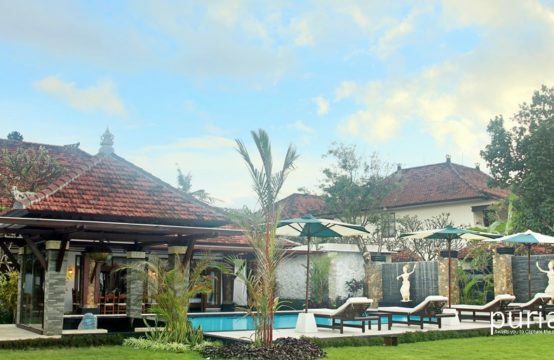 Tirta Nila Villa is a stunning luxury villa located right on the water in Bali’s unspoiled east coast of Candi dasa. 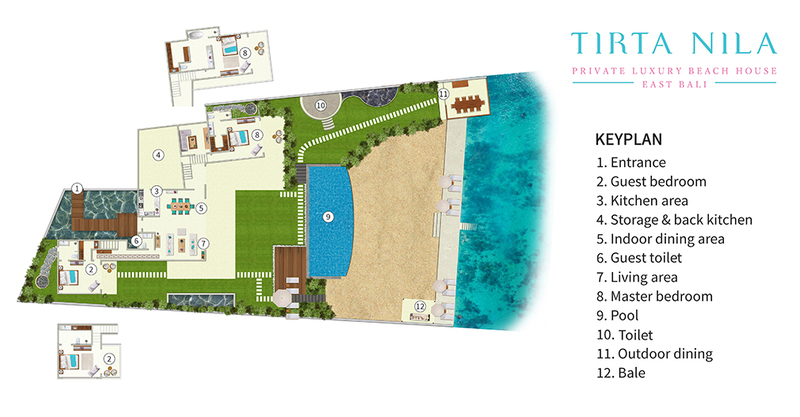 Each of the four bedrooms is appointed with a king size bed and enjoys uninterrupted views of the ocean. Floor-to-ceiling sliding doors open the living room to a well-kempt tropical garden. The villa is perfect for a group of friends or a family, who will be well looked after by a professional team of full-time staff including a manager, housekeeper, security and a private chef. 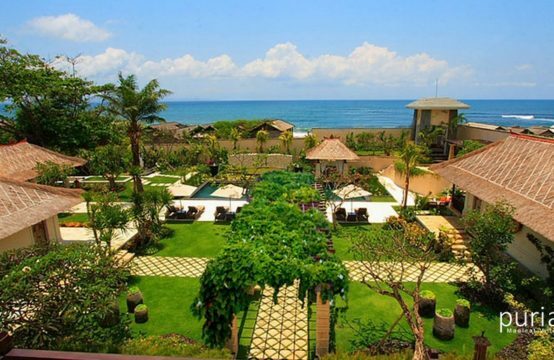 Away from the main tourist areas, the villa offers sublime seaside views and exploits Bali’s more serene part of the island.